Performing promotes confidence and teamwork in our students. We put on regular stage productions involving the whole school using a Theatre for a professional and educational experience. Working in a theatre creates memories which stay with children and students forever. We also enjoy performing for local and charity events such as village fetes and Brackley Carnival. 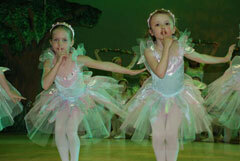 The school provides regular Dance Theatre Workshops and opportunities for pupils to choreograph and showcase their own work.